Tommy drew this A3 piece featuring a whole family for a 20th wedding anniversary with a “China” motif. 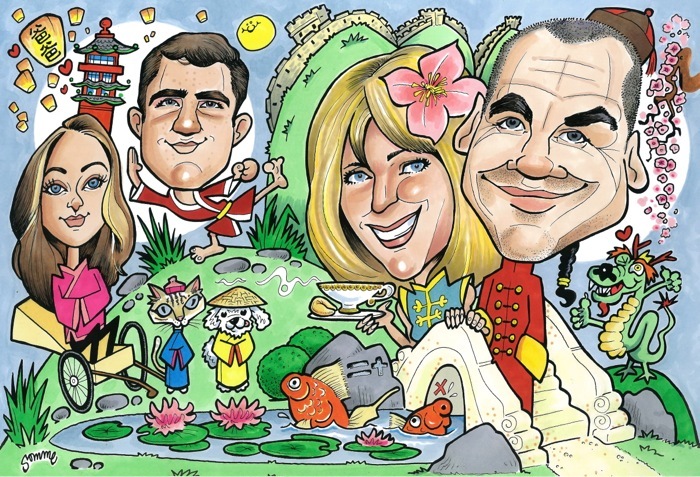 Here’s another A3 by Terry portaying a couple’s adventures in Asia and Australia. They were given it while in Scotland before heading back to Canada. This over-sized A2 piece from Tommy was ordered ahead of a visit to Australia, where the customer presented it to his friends. 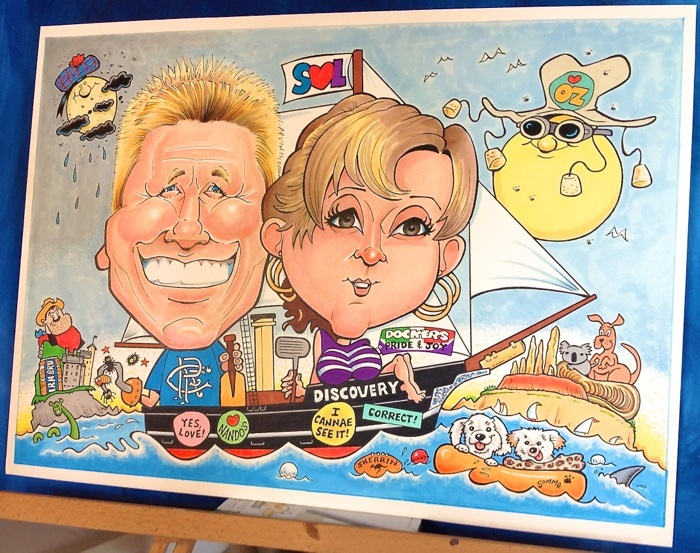 Derek was commissioned to create this rather unusual A4 birthday piece. This time the customer was located in Croatia and the artwork was made available to download from our website. And this 60th birthday piece is bound for Canada, via Shropshire. 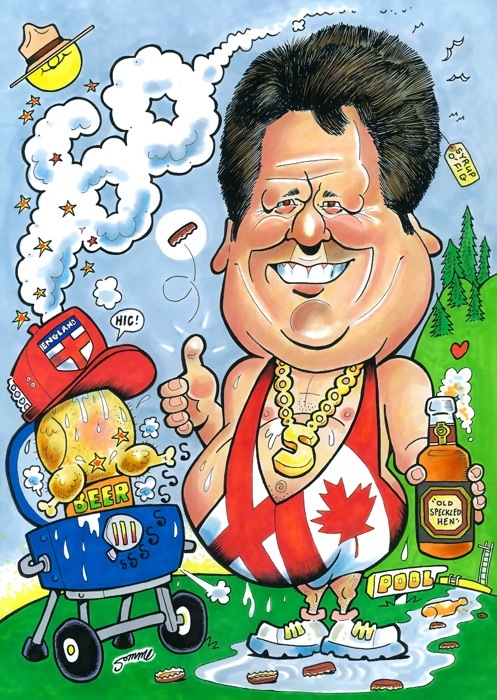 Our personalised caricatures make unique, novel gifts for any occasion. See more examples here and get in touch with details of your special event.